It seems that, in addition to being a tasty spice for curries, turmeric has a number of health benefits. 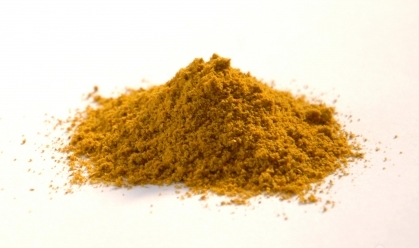 I’m always curious about things that have health benefits, so I decided to look up turmeric today and see what they were. My researches disclosed a classic example of “May”, “Might”, and “Can”. If you looked only at this webpage, you’d get the impression that turmeric can cure almost anything, from cancer and Alzheimer’s to depression and obesity. And this webpage seems to indicate the opposite – that there are studies going on for all kinds of medical turmeric uses, but none of them have been proven. The turmeric fact page from the US National Library of Medicine says that turmeric might do an upset stomach some good, and actually can reduce the pain and inflammation of knee arthritis almost as well as Ibuprofen can. The fact page also says that science hasn’t studied the other claims enough to prove them. I think of those unproven, unstudied claims as “May” claims. Turmeric may halt the progress of cancer. It may reverse Alzheimer’s Disease, may help slow the process of cirrhosis of the liver, may stop the growth of new blood vessels in tumors, may slow the progress of multiple sclerosis. Meanwhile… my friends from India use turmeric on cuts and burns, and they say it seems to help them heal faster. I think I’ll try that, and do my own little study on it, to find out whether it’s a May, a Might, or a Can. Women in India also rub it into their skin sometimes to give them a sort of golden glow…perhaps it has cosmetic uses as well? I have a horrible sore on the side of my tongue. It’s been there for about 6 months and a biopsy was taken for a check. Meanwhile this thing hurts alot and a jewish-indian-iraqi friend told me to try tumeric. I haven’t as, as soon as i will put my tongue back into my mouth it’s bye-bye tuneric. If you’re curious about my friends ethnicity pls feel free to ask. Hope the biopsy is negative and you won’t have to worry! This entry was posted on April 9, 2013 by thinkreadcook and tagged Alzheimer's, arthritis, cancer, cures, food, healing, health, science, spices, studies, turmeric.